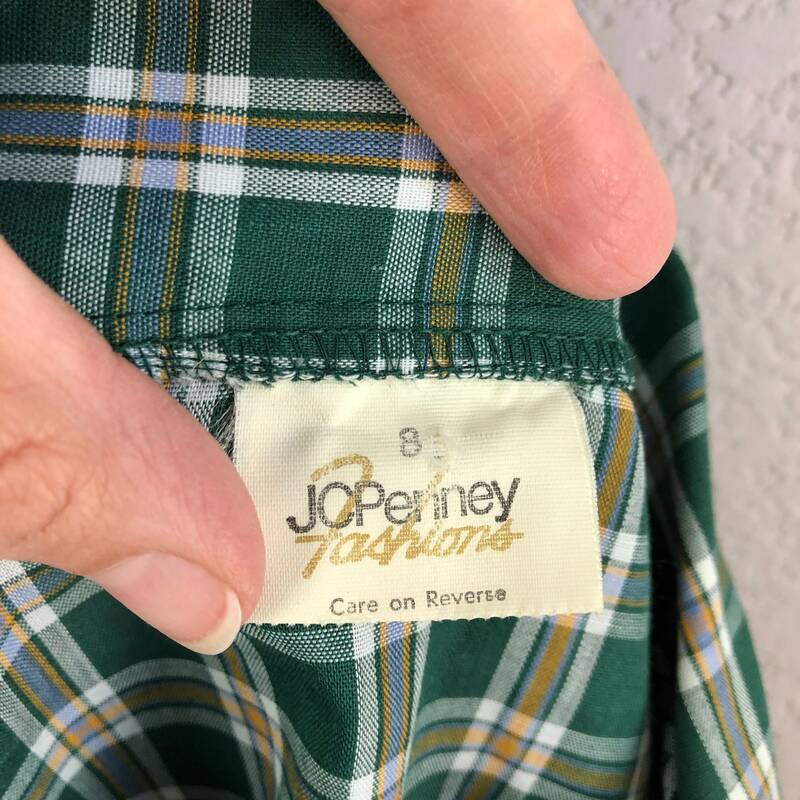 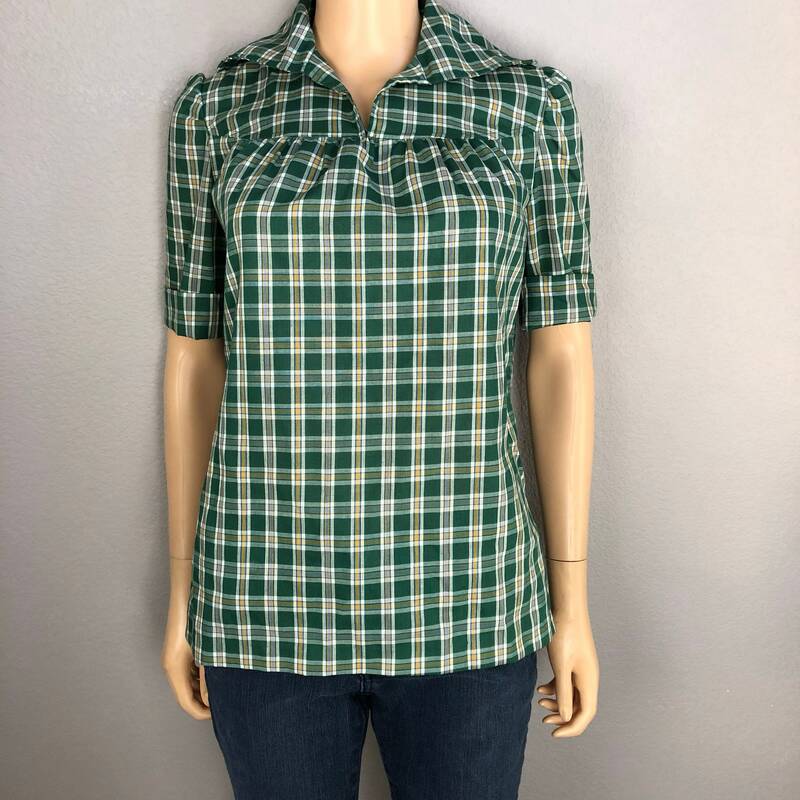 Adorable plaid blouse for sale from the 1970’s from JC Penny. 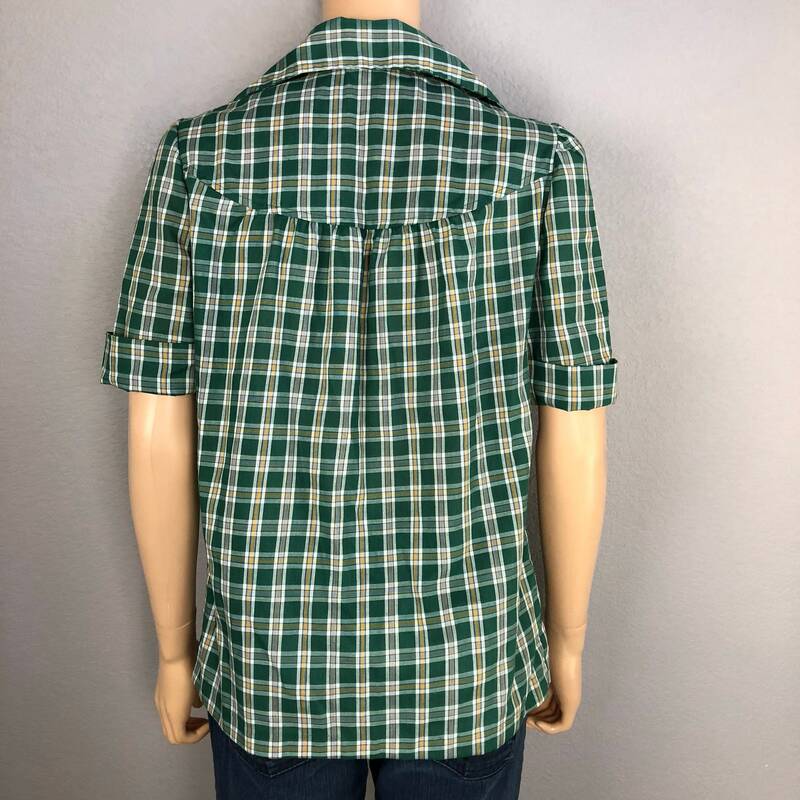 This is green and orange and has a wide collar. 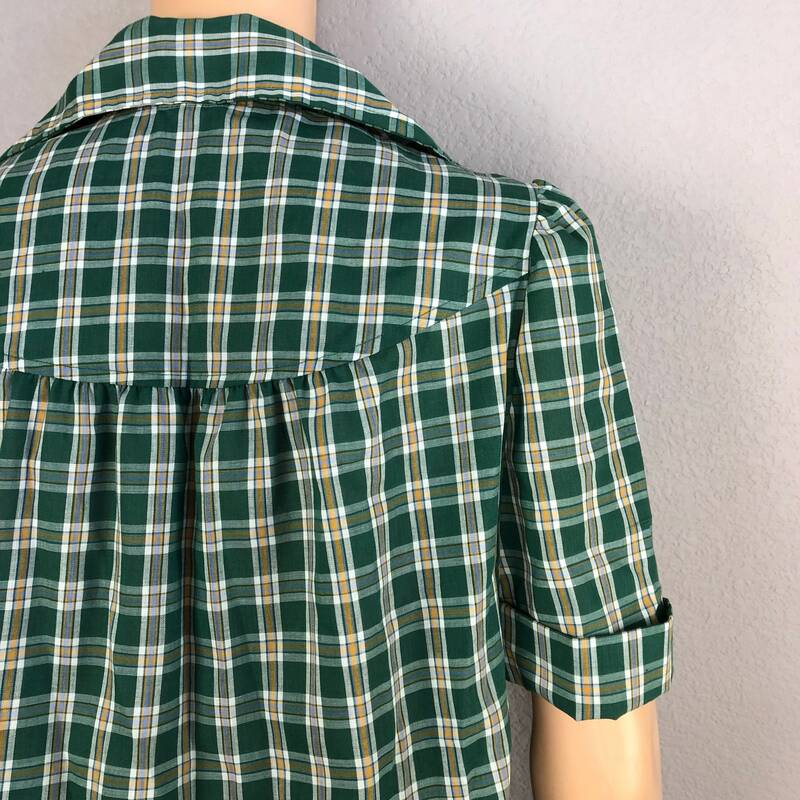 These retro plaid tops are so timeless and cute and this one is in fabulous condition. 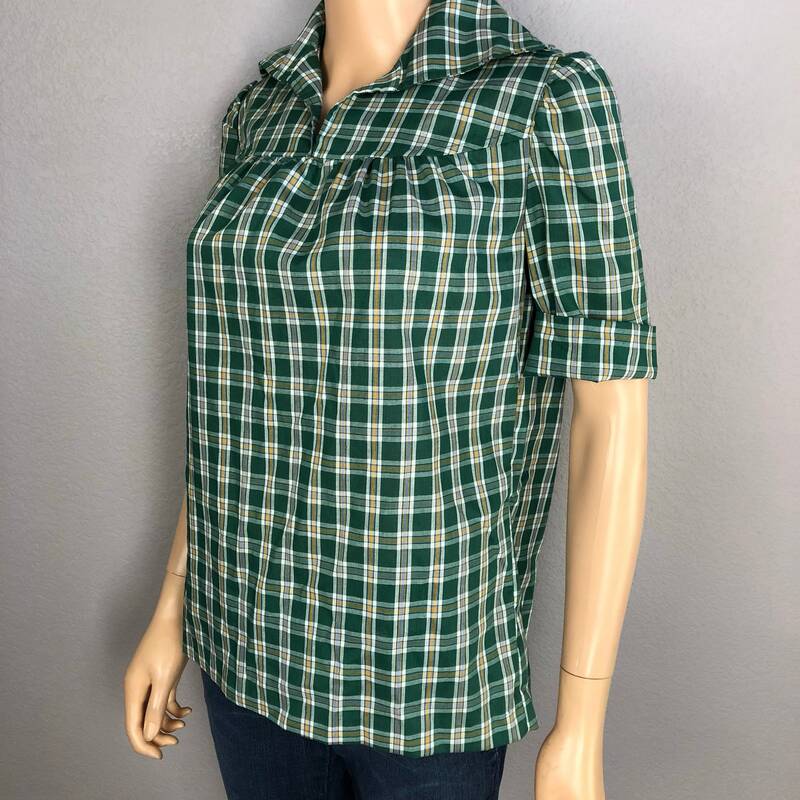 It is made from a blend of polyester and cotton.